Is there an uncomplicated type B dissection? For having a more strict evaluation, we’d need the clinical information of the patient. Based on this imaging, which is limited and static, there is no retrograde involvement of the arch or the ascending, neither aneurysm dilatation. In parasagittal view, the celiac trunk is regularly patent. In the axial view, the true lumen does not look highly compressed. The presence of pleural effusion is usually a fluid pleural reaction to the acute aortic event and does not represent per se a complication. Which is the best time to intervene with TEVAR an uncomplicated acute type B dissection? In the literature, there are two pieces of evidence that show better results when uncomplicated B were managed within this interval time (1,2). In the acute and hyperacute phase, the aortic wall is very fragile, exposing the patients to a higher risk for retrograde dissection. Conversely, in the chronic phase, particularly after 6-9 months, the aortic lamellae usually becomes thicker and harder, with fewer chances to remodel completely. Is refractory arterial hypertension a sign of a complicated type B dissection? It has been reported that presence of refractory hypertension/pain, defined as uncontrolled arterial pressure and pain for more than 3 days using at least 3 drugs, is associated with higher risk for in-hospital mortality and aortic complications (3). Are you always using the PETTICOAT technique to promote aortic remodeling? Malperfusion is a critic hyperacute clinical condition. In this setting, our primary aim is to solve this complication without caring about the chronic aortic evolution. 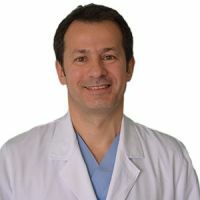 On the other hand, it has not been reported a better distal remodeling using the PETTICOAT technique in this phase, as is (4). 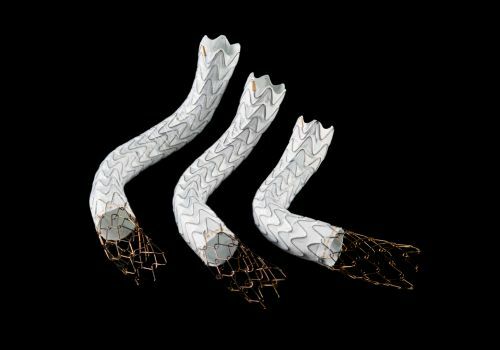 Promising results seems to be associated with the STABILISE approach, which includes a stent-graft and uncovered-stent ballooning in the early chronic setting (5,6). How do you treat a complicated acute type B dissection with a retrograde involvement of the arch in a fit patient? 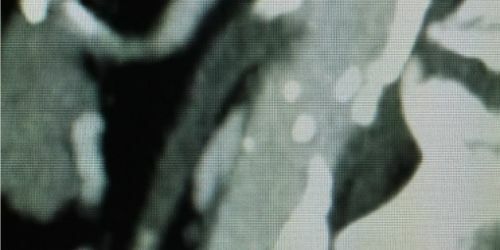 Presence of acute aortic dissection in the arch may lead, if managed by TEVAR, to retrograde extension dissection into the ascending aorta with catastrophic complications. A fit patient with complicated B dissection and such anatomic condition may benefit from an open arch procedure with a short frozen elephant trunk which secures the aortic lesion. Do you think that statins should be used in the treatment of an acute type B dissection? What is your follow-up imaging in patients treated conservatively for type B dissection? 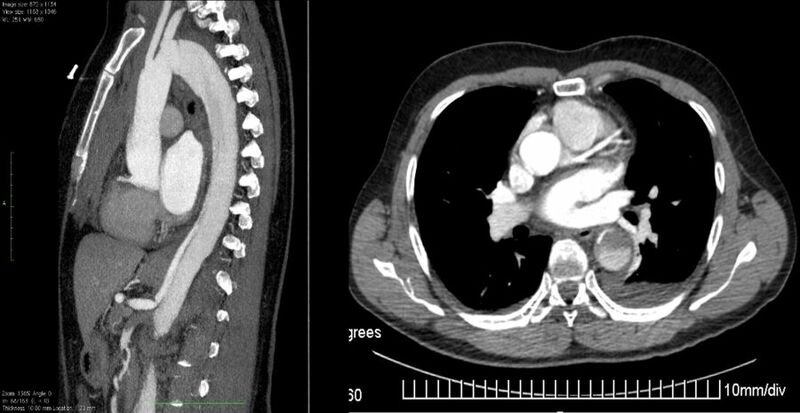 In the initial 3 months, follow-up imaging should be performed using CT-angio, as this gives all information useful for detecting aortic growth, the extension of the dissection, the location and number of entry tears and the presence of thrombus into the false lumen. All these details might be of interest in the decision – making for TEVAR. If the aortic condition is stable, MR can be utilized, even without contrast, for following the patients, since the indication for the operation would be only the diameter.